Over the past year, it's become obvious that social media companies know a lot more about us than we're comfortable with. Depending on how thoroughly you filled out your profile, Facebook may know your name, your birthday, where you live, who you're friends with, the schools you've gone to, and the jobs you've had. It knows every place you've logged in from and every place you've checked in from, which gives it a pretty clear indication of where you are any time you use the service. It knows every video you've watched and every link you've clicked on the site — and often on other sites, too. It can even recognize your face in photos. Beyond the fact that our social networks know too much, they seem happy to share it pretty indiscriminately. Just over the past year, Cambridge Analytica had access to 87 million Facebook profiles, hackers gained access to another 90 million accounts, 14 million users had private posts accidentally set to public, and we found out that Facebook's partners have had access to our profiles despite our privacy settings. Even when Facebook has apologized for these incidents, they've been followed by another privacy snafu. All of these privacy problems have led some of us to wonder if we should throw in the towel on social media, deleting our Facebook and Twitter accounts. Unfortunately, deleting our accounts may not do us much good. Though you can delete your social media profiles, you can't delete information your friends have posted (and may continue to post) about you. And if you've shared any information with third-party apps or advertisers, they'll keep it even when your account is gone. Worse, Facebook will still collect your data to build a "shadow profile" about you. Even if you don't have an account, Facebook tracks you based on your browsing history — Facebook can track you on any site that has Facebook "Like" buttons — and information your friends have shared. That amounts to a lot of information, and there's no way to opt out. A new study published in the journal Nature has found that just by monitoring what your friends share, social networks could predict what you might post with up to 95 percent accuracy. With machine learning, researchers could accurately predict your activities and interests by monitoring the posts of eight or nine friends. Social networks aren't doing this yet, but whether or social profiles are public or not, the data is out there. Even if Facebook stopped tracking non-users entirely, you can't control what your friends post — and that's enough for advertisers (or anyone else) to get a good picture of who you are. So should you delete your Facebook and Twitter accounts? The answer is only if you want to. Ditching these accounts may not do much to protect your privacy, so if you enjoy using them, keep using them — just be careful about what you share and make sure your privacy settings are set for maximum protection. This may not keep your data completely secure, but it won't hurt. 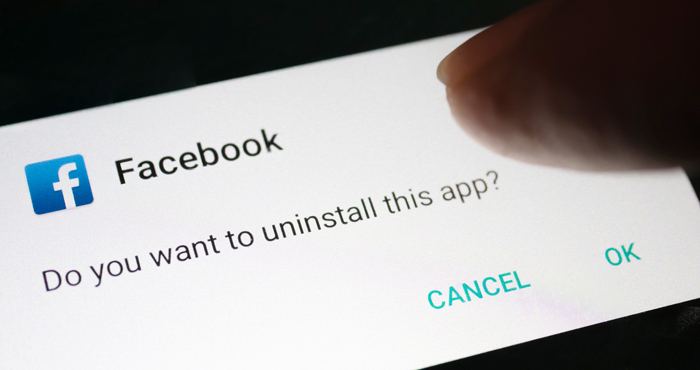 And if you have decided you're done with social networking, here's how to delete your Facebook account and your Twitter account. If you're looking to delete any other social account, check Account Killer to find instructions.